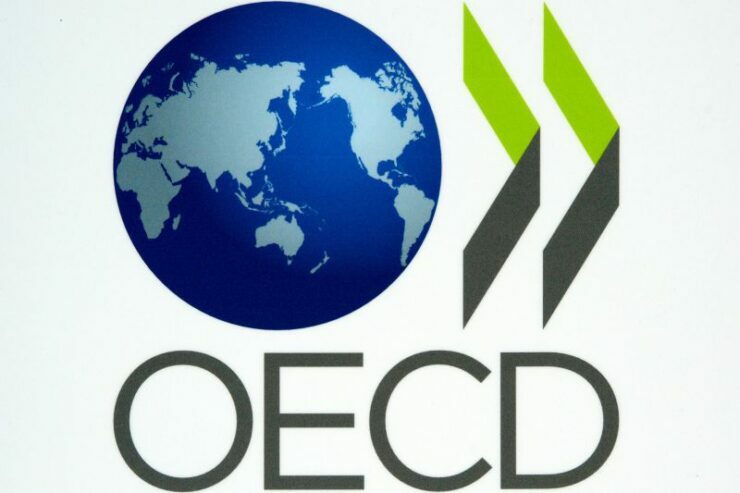 The logo of the Organisation for Economic Co-operation and Development OECD is pictured in Leipzig, Germany, 25 May 2011. Photo: Peter Ending Dostawca: PAP/DPA. The Organisation for Economic Co-operation and Development – OECD, is a global economic organization, consisting of 35 member nations, that was founded in 1961 to help stimulate economic progress and world trade. They track things like GDP, income inequality, and the topic of today’s news, wage growth (or lack thereof). According to OECD, big technology companies may be to blame for stagnant wage growth across most first world countries. They label such firms “superstar” firms. Household names like Google and Amazon. The study found that these firms share less of their profits with staffers and workers, instead funneling more of the funds to top management and shareholders. The study found a novel trend emerging that has never before seen before the rise of large tech: productivity is actually increasing at a healthy rate but workers wages are falling way behind. OECD notes that historically, as productivity increases AND when labor pools are already tight (as in there is a shortage of workers in many situations) that wages generally boom. However, today’s world is different. Back to Amazon (NASDAQ:AMZN) and Google (NASDAQ:GOOGL). The think tank speculates that the firms, while innovative, tend to funnel monies back into technology that enables them to employ fewer and fewer humans, instead relying on algorithms and machine automation. This helps the bottom line as per-unit and marginal costs reduce once the technology is paid for. The bad part is that the people that are left to employ are stuck with lower wages. The OECD did dismiss political interest in breaking up the mega-firms as they do not think there are any anti-competitive trends, yet the organization does recommend workers pooling together. They do not call out “unions” but they do mention the key term “collective bargaining” as something that could help out workers.